Your brake system plays a crucial role in bringing your vehicle to a safe stop. Two major components of your braking system are the pads and rotors. When you push your brake pedal, the brake pedal pushes a plunger in your vehicles master cylinder, displacing the brake calipers. Your brake calipers surround the top portion of your brake rotors. Stop into Henry's Tire Today to ensure your Brake System is working properly. 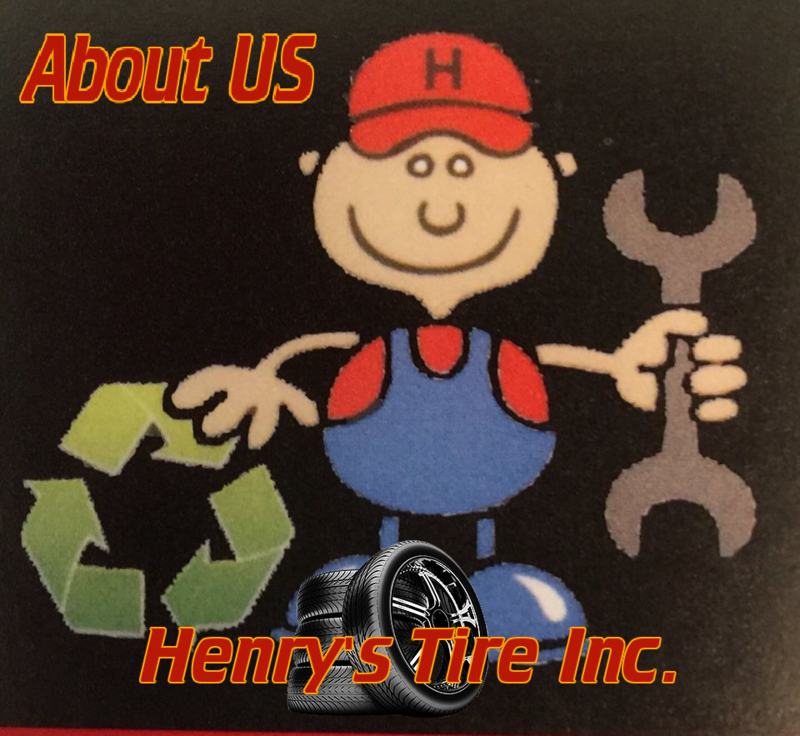 At Henry's Tire, no appointment is Necessary for a Tire Repair. A flat tire can leave you stranded along the side of the road; it can cause the rim of the wheel to ride on the tire tread or the ground resulting in the loss of control of your vehicle, it can cause a tire to blowout, or worse. The most common causes of flat tires can be a leaky valve stem, a puncture in the tire, a leak between the tire and wheel, a leak in your wheel and more. A vehicle alignment brings the car's suspension into the proper vehicle manufacturer's specification by adjusting components so that the wheels are aligned with each other and the road surface. A proper alignment squares the car's wheels and axles with each other so that they are moving in the same direction. Henry's Tire offers state of the art alignment equipment in all Five of Our Locations!